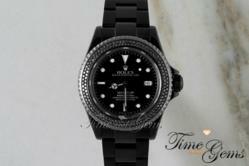 Time and Gems Closes Their Annual Spring Wholesale Event with One Time Offers on Rolex & Cartier, on Sunday March 31st. Time and Gems, recognized as the leading retailer for black DLC luxury watches, has announced the annual wholesale event with one time offers on all major luxury watch brands. Time and Gems is the largest online retail website for luxury watches, including Rolex, Panerai, Audemars Piguet, IWC, Cartier, Breitling, Patek Philippe, Omega and Ulysse Nardin. With a collection of over 600 unique luxury watches, the Time and Gems collection offers luxury watches for every occasion and price point. Originating in Los Angeles in 1997, Time and Gems is known as the go-to showroom for celebrities to acquire the latest trend worthy luxury watches. The Rolex Brand is known for its style, luxury and comfort. One must always buy a Rolex from authorized dealers to ensure quality and a reasonable price. Many of the sellers sell fake watches. To avoid this buy your Rolex from a reputed and authorized jeweler. The sellers also give warranty cards to treat any future damage. One can buy a Rolex for sale at the lowest prices. Used and pre-owned watches are offered at reasonable prices. If you have any doubt about the quality of the watch or if you think it is fake, you are recommended to take it to the nearest authorized seller for a check. If you are still not convinced, sites online offer step by step ways of checking the legitimacy of the watch. One should also find out about the present day prices. Many dealers offer Rolex for sale at a cut-rate. If you want to buy a Rolex online, always check the identifications of the seller and ask him for the warranty cards to be on a safe side. Counterfeiting of Rolex watches is common these days. It is almost impossible to find a difference between an original Rolex Daytona and a fake one, or any Rolex watch for that matter. The most common deception could be attaching a fake diamond bezel or dial, and sometimes even the dial hands. Take your time to scrutinize the parts and go for the best deals.